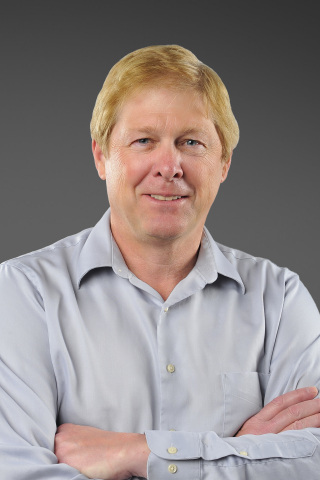 Intellectual Property Owners Education Foundation has awarded David Hall, chief executive officer and founder of Velodyne LiDAR, Inc., as its 2018 Inventor of the Year. Hall created the groundbreaking 3D LiDAR sensor technology which enables advanced vehicle safety and performance for autonomous vehicles. The idea of leveraging LiDAR technology for autonomous driving came to Hall after competing as one of the original entrants in the DARPA Grand Challenge for autonomous vehicles. In 2005, he invented 3D LiDAR to give autonomous vehicles real-time, 360-degree vision that then set the stage for revolutionizing the automobile industry. LiDAR sensors provide the high-resolution, real-time information about the surrounding environment that is required for fully-autonomous driving. Velodyne LiDAR is the industry leader supplying virtually every automaker and autonomous vehicle company with its sensors. LiDAR sensors are also used for mapping, industrial and other uses. “It is an honor to be recognized by the Intellectual Property Owners Education Foundation and I appreciate their efforts. Intellectual property protection is imperative to fostering innovation and is a valuable asset to new technology,” Hall said. Holding more than 30 U.S. patents, Hall is a technology visionary covering a variety of applications. He founded Velodyne Acoustics in 1983 as an audio company specializing in low-frequency sound and subwoofer technology. In 2011, he launched Velodyne Marine and debuted its first self-stabilizing craft, the Martini, at the 2013 Miami boat show. This prototype was the world's first sea-faring vessel with an active suspension. Hall will be honored at the annual IPO Education Foundation Awards Dinner, celebrating leaders and innovators in intellectual property on Tuesday, December 11, 2018 in Washington, D.C.
MEDIA PLEASE NOTE: To learn more about IPO and the Inventor of the Year Award, please contact Nyree Berry at IPO (202-507-4514; nberry@ipo.org). To schedule an interview with David Hall or to request images, please contact David Cumpston at Landis Communications Inc. (415-359-2316; cumpston@landispr.com).